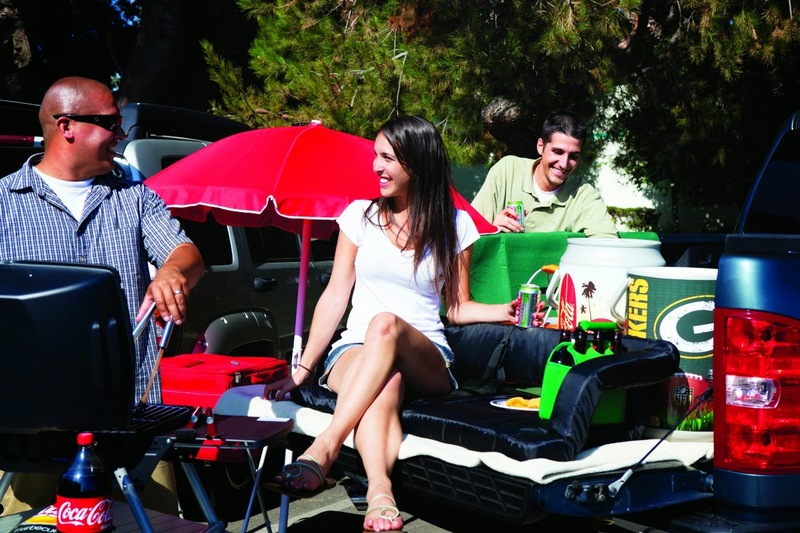 This portable couch is perfect for tailgating. It will seat two adults, and it has four backrest positions. 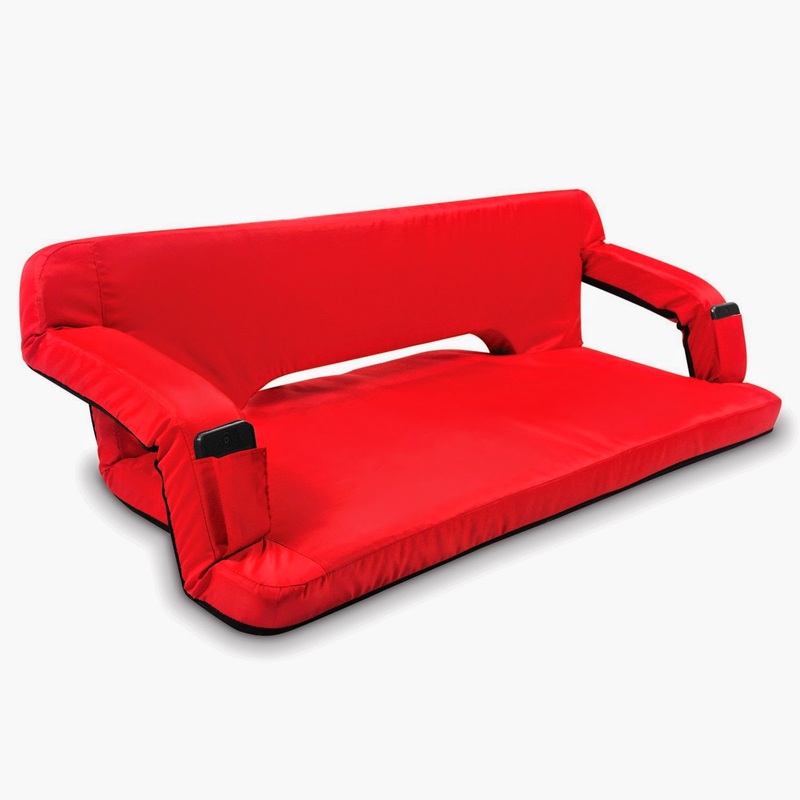 It has a steel frame, polyester exterior, and a high-density interior foam padding for comfortable seating. The armrests have pockets to hold your phone or beverage. 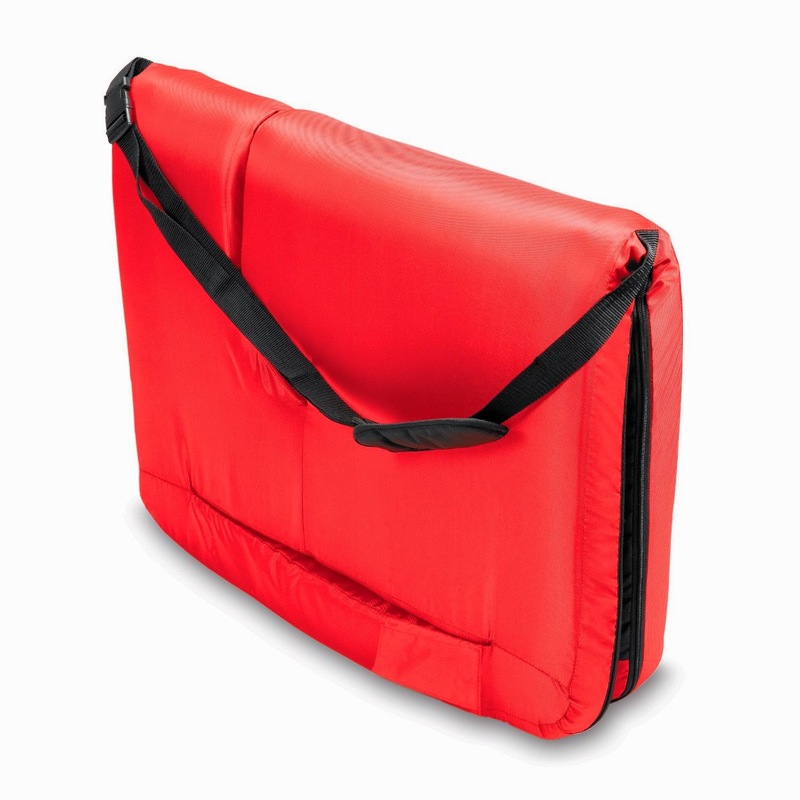 It even has a detachable shoulder strap for carrying.